New Year’s Eve is the most terrifying night of the year for our pets. Hundreds of frightened pets flee their homes in fear of loud fireworks, becoming lost and, in some cases, injured. It’s essential to plan now and ensure your pet’s safety and well-being ahead of New Year’s Eve. Identify your pet and keep your details up to date: Identify your pet with a microchip, collar and ID tag and make sure your contact details are current. Talk to your vet as soon as possible: Your vet will be able to discuss treatment options to help your pet. This is best done sooner rather than later, as some treatment options take time. 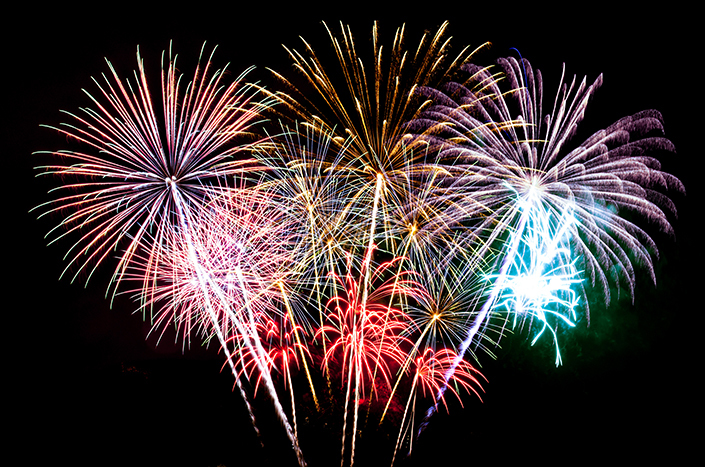 Make a note of fireworks scheduled in your area: Illegal backyard fireworks are impossible to predict, but you can find out about scheduled fireworks near you by contacting your local council. Provide a safe and calming environment: Create an indoor safe haven for your pet to use during fireworks and storms. Choose a safe room to put your dog’s bed or crate. Use positive reward-based training to help them associate the space with positive experiences. Close your blinds to prevent bright flashing and use classical or relaxation music to drown out loud sounds. Stay with your pet or arrange for someone you trust to stay with them. Never punish your pet: Don’t punish your pet during fireworks or a storm. It’s important to understand that they are experiencing distress, fear or panic – they are not just ‘being naughty’. Comfort and reassure your pet. This won’t reward fear, but may help reduce their panic and distress. Offer your pet special treats and toys to distract them from the event.